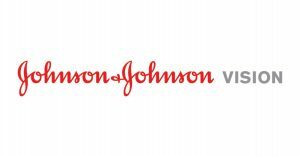 JACKSONVILLE, Fla. — Johnson & Johnson Vision today introduced Andy, a virtual assistant chatbot powered by artificial intelligence (AI). Andy is designed to help guide U.S. consumers throughout their Acuvue Brand Contact Lens journey – from those considering contact lenses for the first time to long-term wearers. The chatbot also provides intuitive coaching to help new wearers develop healthy contact lens habits. Andy can be found by connecting with Acuvue on the Facebook Messenger app, which has over 1.2 billion monthly active users. In a recent survey by LivePerson, 67% of respondents used chatbots for customer support in the last year. Research also shows that 45% of global chatbot users prefer communicating with chatbots for customer service inquiries.